Kigali, 8 April 2019 – The First Lady of Rwanda, Mrs. Jeannette Kagame on Monday presided over the inauguration of the first phase of the ‘Garden of Memory/Jardin de la Mémoire’ at the Nyanza-Kicukiro Genocide Memorial as part of ongoing 25th Commemoration of the Genocide against the Tutsi. Conceived by Ibuka association and Bruce Clarke, a visual artist, the Garden of Memory symbolizes life, rebirth after the Genocide, and the protection offered by nature during the 1994 Genocide against the Tutsi. In her address, First Lady Jeannette Kagame reiterated that the Garden would serve a favorable place to reflect and keep the memory of the Genocide against the Tutsi while also contributing to fighting Genocide denial. “Preserving the memory of the Genocide against the Tutsi is very complex. It triggers emotions and leaves many unanswered questions, that require comprehensive support of thought, heart, and spirit. We, therefore, need diverse appropriate and serene places like this garden, which allows us to reflect, and continue to keep the memory of our loved ones” First Lady Jeannette Kagame said. “Through this process of remembrance, we are also seeking and sharing the truth, about the Genocide against the Tutsi, and making it an intentional act, and a powerful mechanism to share our stories of survival and resilience, while fighting the genocidal ideology” First Lady Jeannette Kagame added. 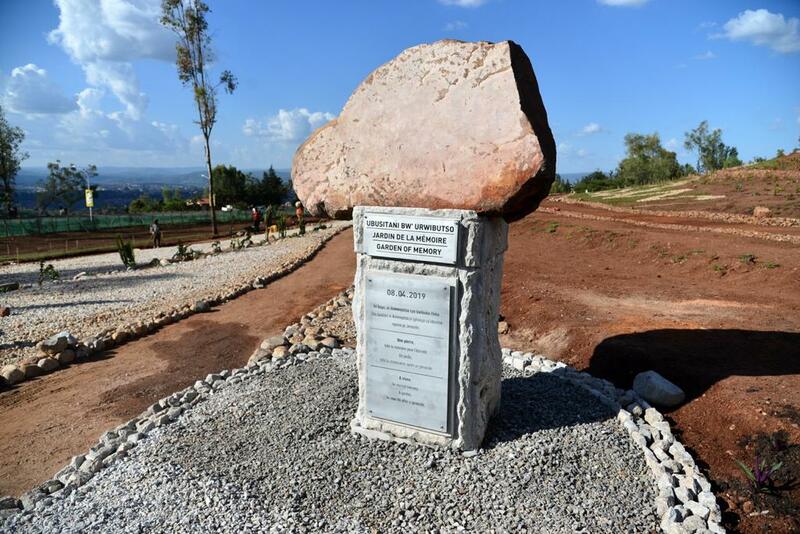 The foundation stone for the Garden of Memory, which will serve as a link and remain a permanent conversation between the past, the present and the future, was first laid in June 2000, by First Lady, Mrs. Jeannette Kagame. 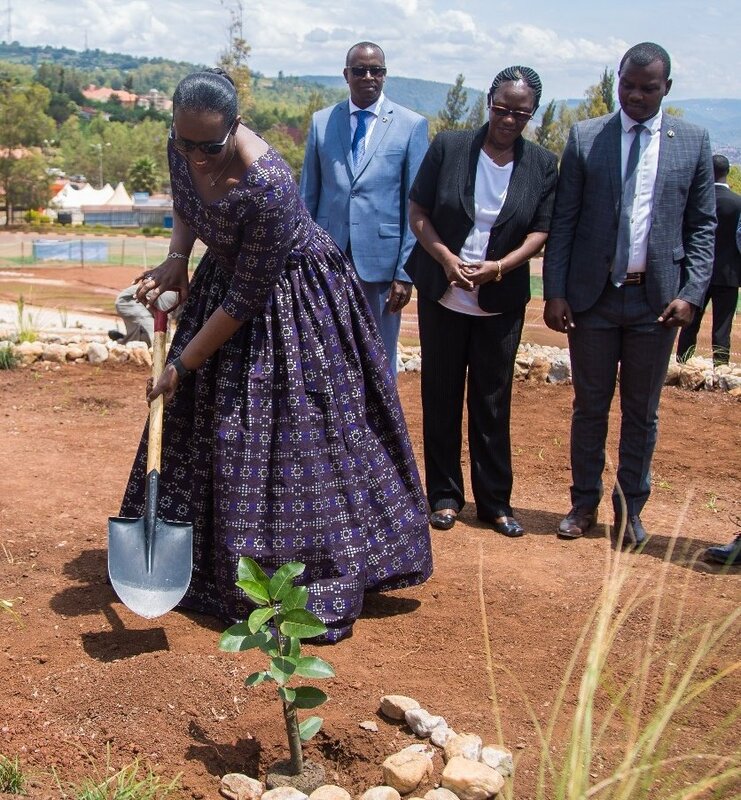 Prior to the launch of the first phase of the Garden of Memory, First Lady Jeannette Kagame was joined by distinguished guests to plant trees in the Forest of memory, one of the key features of the Garden of Memory.